Thank you for supporting a Little Caesars Pizza Kit Sale. Before you place your order be sure to have the fundraiser ID number (provided by the seller) and the participant’s correct name (so they get credit for the sale). 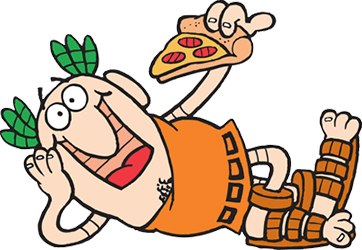 When you are ready, please click here or click on the Little Caesars Man on this page – you’ll be taken to the Little Caesars Pizza Kits Online ordering page. If you choose to have your order shipped to the group, there is no delivery charge. If you choose home delivery, shipping charges will be applied and the seller will still receive credit for your purchase. Thank you for choosing Little Caesars Pizza Kits from Green Top Fundraising, LLC. CLICK! CLICK! to Buy Pizza Kits Online! © 2019 Green Top Fundraising. Built using WordPress and OnePage Express Theme.